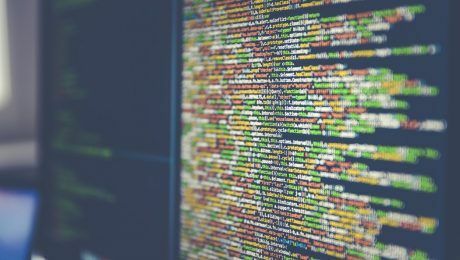 October is already underway and Halloween is fast approaching…but that doesn’t mean it’s too late to give your website a spooky twist in time for the upcoming holiday. There are plenty of ways you can inject a little bit of horror without breaking the bank or becoming overwhelmed with tasks – think headers, newsletter templates and branded social media images. 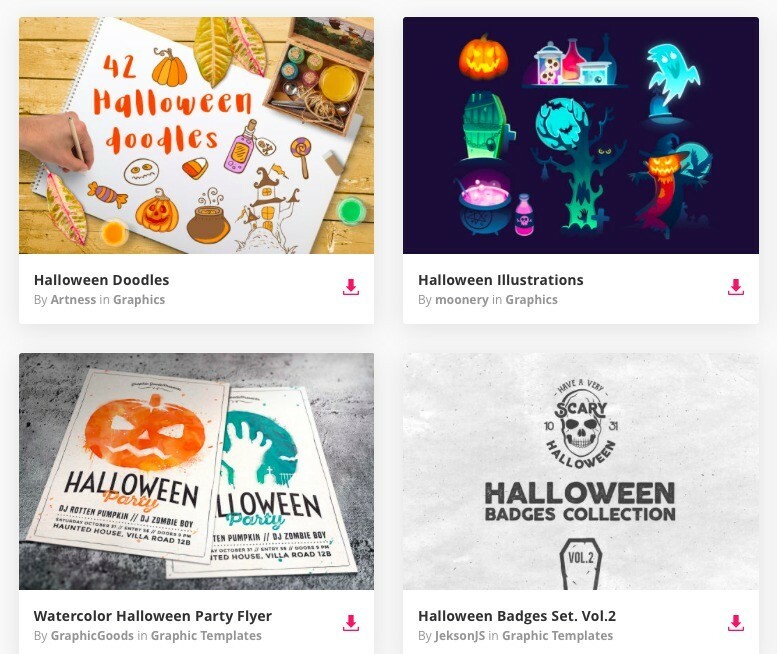 To help you get inspired, we’ve rounded up ten of the web’s best Halloween resources for designers, so keep reading to discover ten ways you can add some Halloween fun to your website. 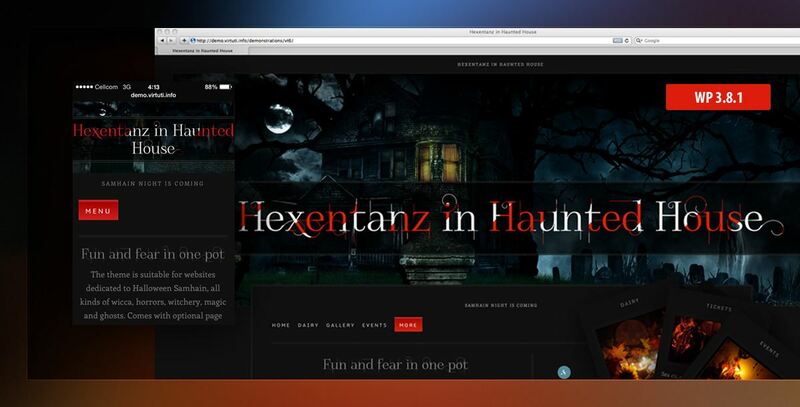 If you want to give your website a full Halloween makeover then this spooky WordPress theme is a great choice. It only takes minutes to set up and features multiple menus, PayPal integration and Lightbox for gallery images. Looking to inject a little bit of Halloween horror but put a smile on your visitors’ faces at the same time? 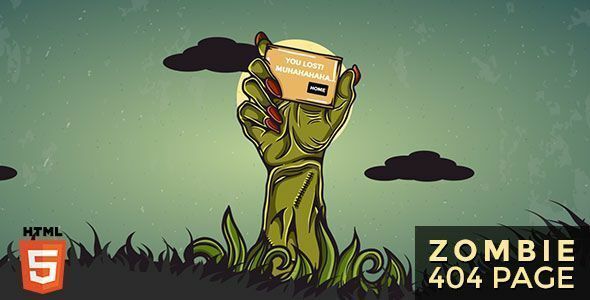 This zombie-themed 404 page is a great way to add a subtle Halloween reference to your website. 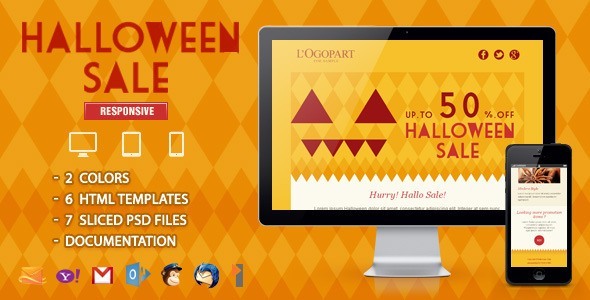 For those brands looking to run a sale this month, this email template will get the word out to your email list, with a fun Halloween twist. 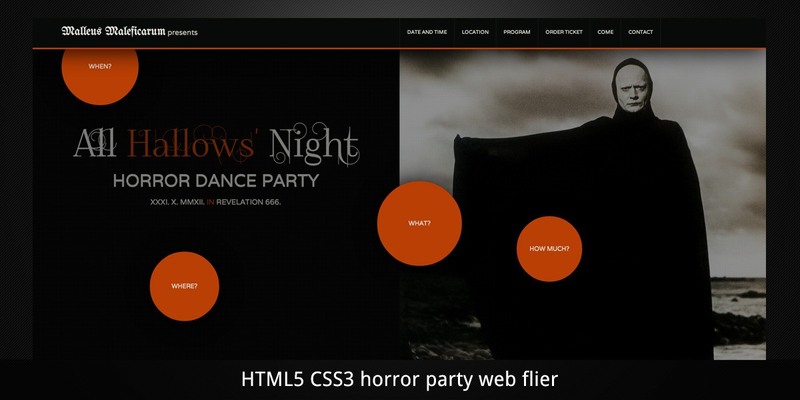 A creepy online flyer for your upcoming Halloween party, this template fits all screen resolutions, features eight scrolling blocks of content and a built-in event attendance widget. 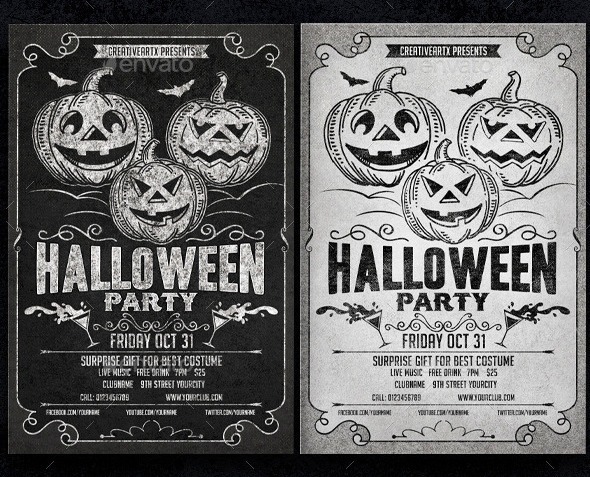 A set of two vintage-looking Halloween party flyers, fully editable and fully layered PSD files. 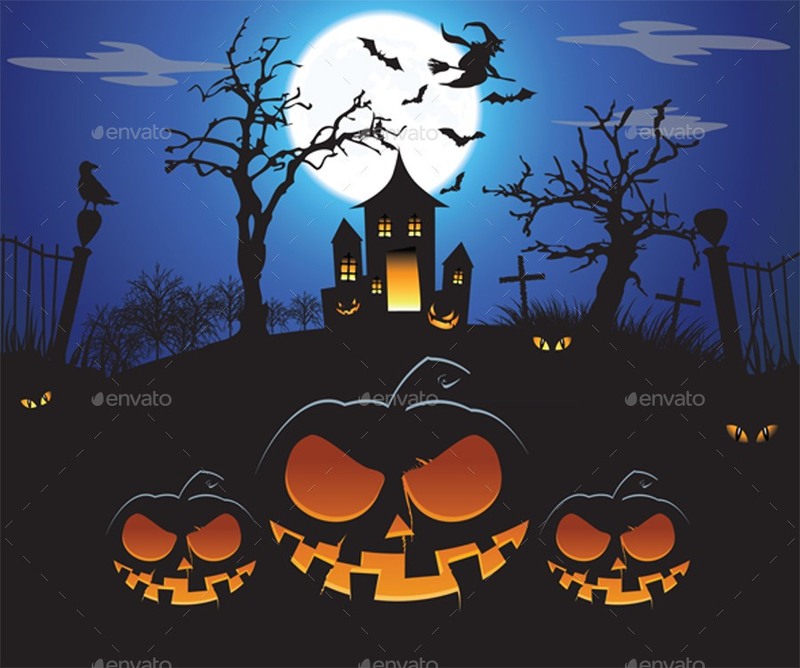 A fully editable Halloween vector that would make a great blog image or form a fun social media post. 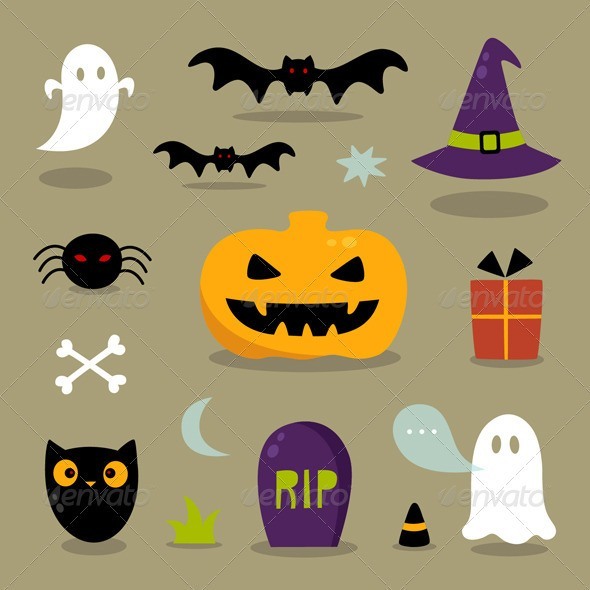 A set of fifteen cute Halloween doodles that you can use in your web design projects this October. 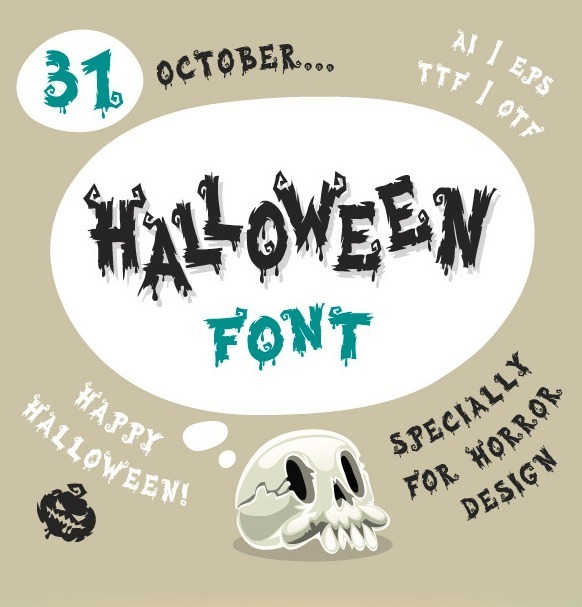 An eye-catching Halloween font that can be used for flyers, headers and posters. 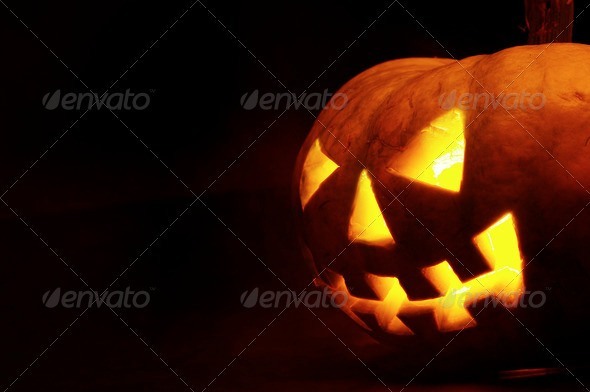 A spooky Halloween pumpkin image with the perfect amount of space for a blog title or newsletter header. 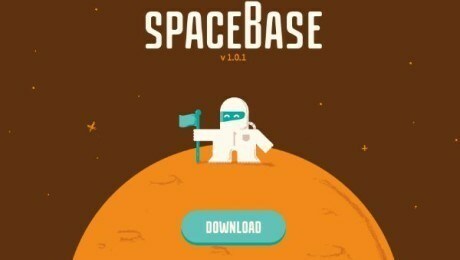 Need access to a wide variety of Halloween resources? 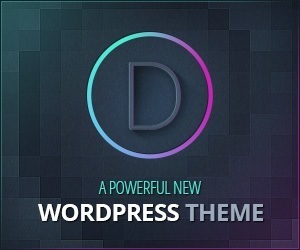 Sign up for Envato Elements and you can enjoy unlimited downloads.